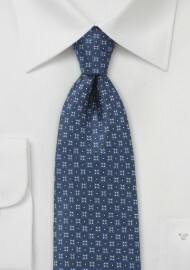 This blue and silver floral tie will be a perfect addition to your tie collection. It looks fantastic in any season, pairs well with almost any shirt and suit, and it suits office as much as a leisurely dress code. 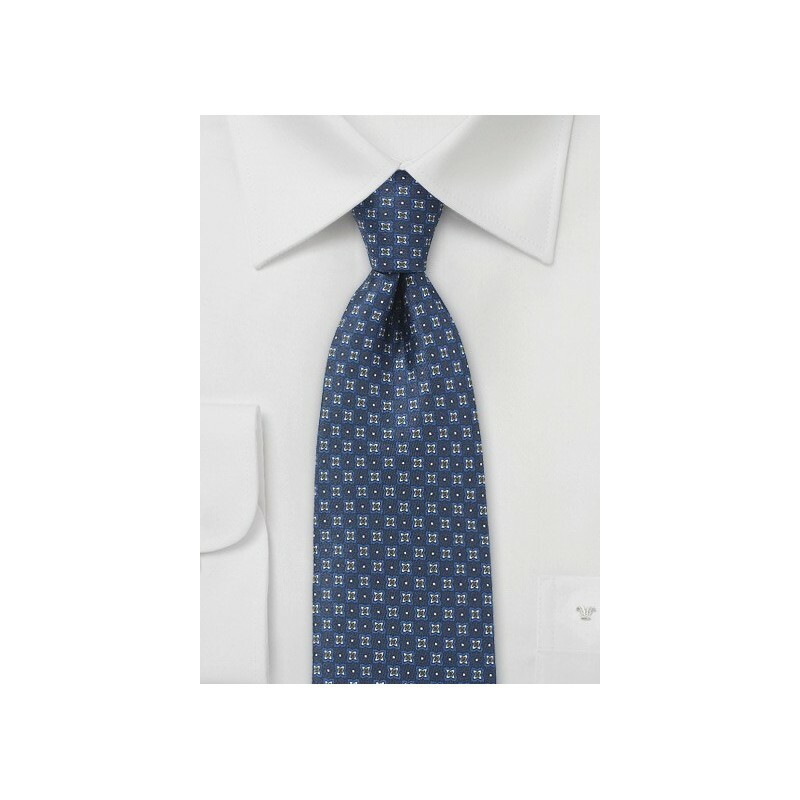 While indeed easy to wear with most your shirts and suit jackets, we suggest this tie to be worn as follows: Light blue dress shirt (no pattern), a navy blue blazer with brass buttons, golden cufflinks, brown belt, and matching brown dress shoes. Handmade from 100% silk.